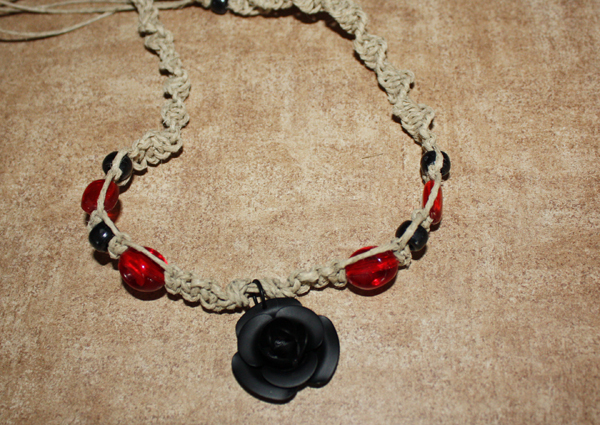 This Gothic inspired necklace features a metal black rose in the center. On either side are black plastic beads and red acrylic beads. The ends of the necklace have not been cut so it is extendable. How I made this was starting from the center with 3 strands of hemp. I made a knot on either side of the metal rose and then began with the knots, duplicated on each site. Having only one center thread made it easier to string the beads with a smaller hole.